Staying fit and healthy is important. If you don’t concentrate on health, your body will be prone to all types of diseases, allergies. You’ll visit doctors frequently. Eating unhealthy food items will make you suffer from diabetes, high blood pressure, heart attack, etc. An unhealthy diet is one of the major reasons for poor health and fitness of a person. If you want to live longer, you should focus on improving your health. One of the smartest and cost-effective ways to improve fitness is to use smartphone apps. 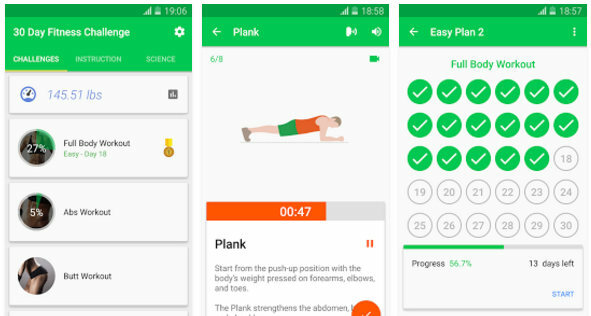 CC is one of the best health apps for mobile phones. 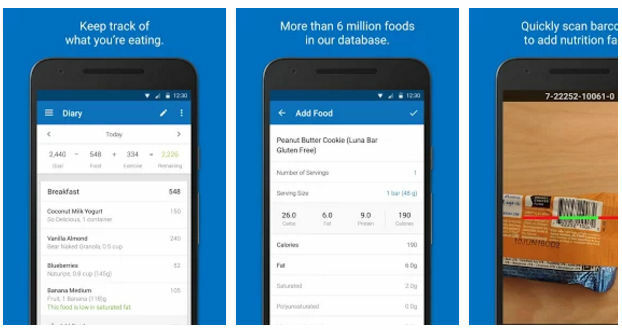 According to its developers, if you track calories with this application, you’ll shed some weight. The app gives you access to a community of health-conscious people that share tips on loosing or gaining weight, improving fitness, etc. It helps you learn and practice 300+ exercises. CC gives details on the number of calories a person may have burned after completing a particular exercise. The app provides a barcode scanner module with which you can track packaged food items you have consumed. CC gets information about calories, protein, fat, vitamins, cholesterol present in an edible item from a database that contains over 5 million records of various food items. Calorie Counter app functions as a pedometer. It can also remind you to intake water. 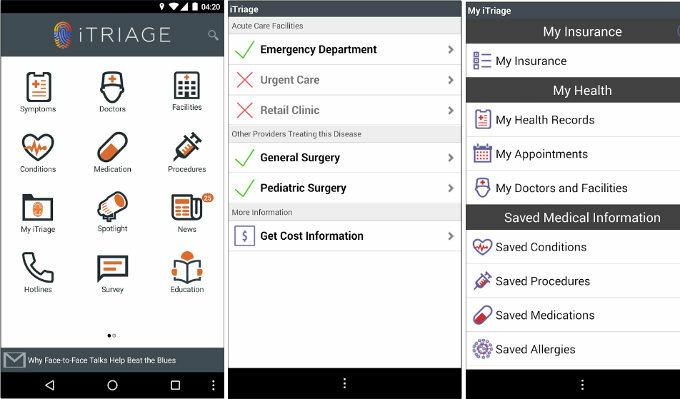 iTriage is a must have health app for Android and iPhone. Instead of asking you to enter the symptom manually, IT displays an image of a human body. You have to select a body part where the symptoms are appearing. iTriage allows users to find nearby doctors and health facilities. It provides filters to shortlist doctors by their specialty. The application displays detailed information on various health conditions and medicines. If you will be undergoing a checkup or medical procedure, IT will prepare you for the procedure beforehand. iTriage enables users to create a free online account. If you want the app to save your settings or health data online, make sure you create an account with iTriage. iTriage makes you aware of healthcare emergency numbers. It features a news section where you will find the latest news on health topics. Your health and fitness depend on the type of food you eat. Consuming fresh vegetables and fruits daily ensures that your immune system will be great. If you intake junk food items, you may suffer from obesity, heart problems, etc. If you want to remain healthy by tracking food intake, try out the free LifeSum health app. Lifesum is a must have app for the people who are looking forward to losing or gaining weight. When you run LifeSum, it prompts you to select gender, enter birth date, height, weight. The application also asks you to select the food you’ve recently eaten. Then, it recommends useful tips which you must follow. 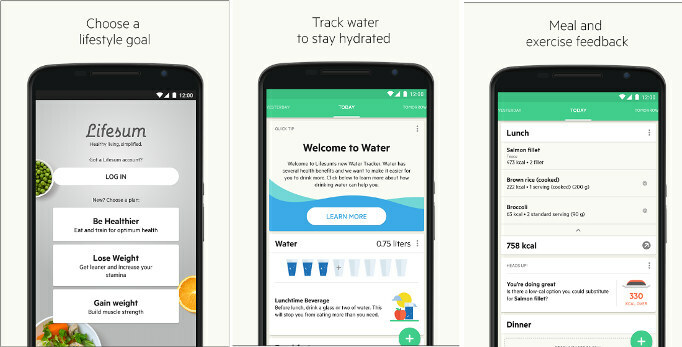 The app reminds you to drink water. It also displays your health information. Lifesum supports Samsung S and Google Fit health services. It has superb design and several interesting features. It is one of the few health apps that has an excellent rating on the Play Store and iTunes. Once you select a workout, you’ll be prompted to select a workout plan. Then, the 30DFCW application will display a list of exercises which you must complete. The app displays an animation that explains the exercise. It also shows the instructions. Once you complete the challenge/exercise, tap the round orange button to mark it as complete. You have to follow the above routine daily to complete the 30-day workout challenge. The app is easy to use. It provides voice guide function. The app also gives you access to workout videos on YouTube. 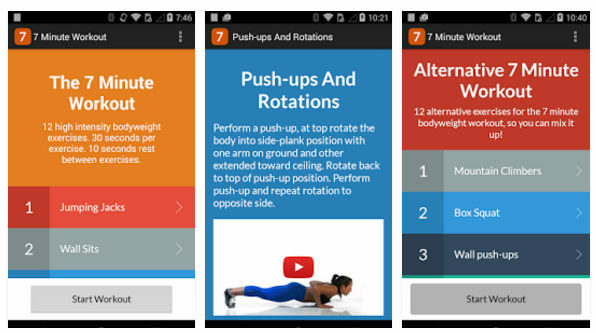 10DE is an app that allows you to learn various exercises for free. If you’re using it, you should practice the recommended exercises. If you find an exercise too complicated, you can skip it. The app ships with a calendar utility. It offers three difficulty levels. 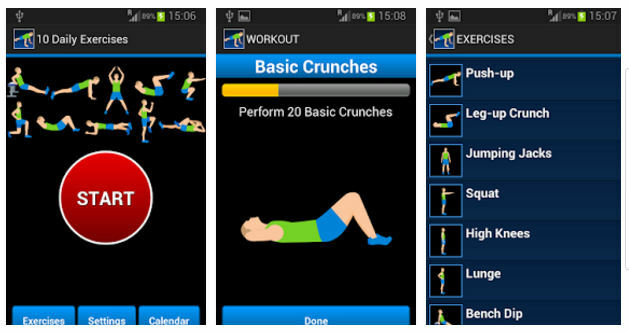 It displays animations for each workout. Jumping jacks, wall sits, push-ups, abdominal crunches. Squats, triceps dips, plans, Start-ups onto a chair. High knees running in place, lunges, push-ups, side planks. Each exercise mentioned above lasts for 30 seconds. When you complete one exercise, the app lets you rest for 10 seconds. People who don’t want to exercise or go out for a walk should try out the best Yoga Apps. Conclusion: Millions of people are using the above health apps on regular basis. The applications have superb ratings. They are effective and free.